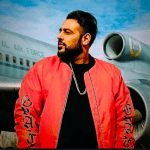 After Honey Singh went on a break, Badshah continued his legacy of rap songs. And within a short span of time, he took place as one of the topmost rappers in Bollywood. His singing and rapping carry a unique style. And when Badshah songs are played, every single person can easily pick up his style without even being an expert in singing. Completing his engineering from Chandigarh, Badshah entered into the Bollywood music industry. And when he came, the ground for rap songs was already laid. Honey Singh, over the years, had already brought rap industry to a very high level. So it was an instant success for Badshah. Even though both their styles are different, yet these 2 mega stars of rap songs are always compared by people. But nevertheless, both are equally good when it comes to party numbers. Some of his famous hits like Kala Chashma, DJ Wale Babu, Breakup song and many more, form the Jaan of any party. And so we have prepared the complete Badshah Songs List so that you won’t have to face the hurdle of searching his top numbers at various places. Just plug in the speakers and Move Your Lakk Baby!